The Great Basin and northern Colorado Plateau were occupied at the time of European Contact (generally between the late eighteenth and early nineteenth century for this region) by a variety of relatively small groups of hunter-gatherers, all of whom spoke closely related languages belonging to the Uto-Aztecan language family. By the early twentieth century these groups had become of considerable interest to anthropologists due to the harshness of their physical environment and the apparent simplicity of their social structure. The most influential ethnographic studies of these groups were those conducted by Julian Steward among the Western Shoshonis in the 1930s. Steward developed a model of Western Shoshoni society in the Great Basin that emphasized the constraints imposed by this harsh environment and the consequent need for small group size and frequent movement in search of subsistence resources. Steward focused heavily on the political structure of Western Shoshoni society, which he divided into two fairly different forms of social organization: “village” and “band.” “Village” groups he characterized as small groups of people who generally aggregated in small villages during the winter at favored locations and dispersed into even smaller family groups in the other seasons to gather scattered resources. Each village group roamed through a territory which was not sharply defined but typically consisted roughly of a single valley, but the groups were fluid and people and families frequently moved from one to another for a variety of reasons such as resource availability and kin or trading ties. “Band” groups, on the other hand, were larger and generally found in areas of greater concentration of resources than is typical in the arid Basin. The Owens Valley Paiutes were the preeminent example of this type of organization, as Owens Valley was teeming with resources and was divided into a number of band territories which were carefully guarded and defended by their resident bands. 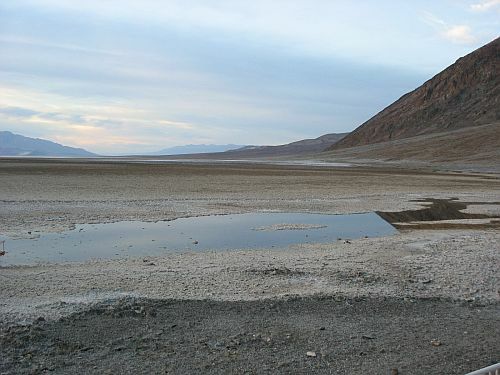 (This may seem incongruous to anyone who has been to Owens Valley recently and seen how dry and desolate it looks, but the story of how it got that way is of course a famous one.) Some of the Shoshoni groups in nearby valleys had similar social organization to the Owens Valley Paiute, but Steward considered band organization in most of the rest of the Basin to be a post-Contact phenomenon associated with the introduction of the horse and extensive cultural influence from the Plains buffalo-hunting cultures further east. Steward considered all the cultures he documented in the Great Basin to be of relatively recent origin and the result of influences from many directions, some of them post-Contact (most obviously the case with horses). Archaeologists, however, were very impressed with the way the social models he outlined, especially the “village” one, evidenced a very close relationship between the resources of the land and the social structure of the people living in it. This seemed like a description of society at its most basic in a harsh environment, which might be a reasonable model for prehistoric societies who inhabited similarly harsh locations, including the Great Basin itself. 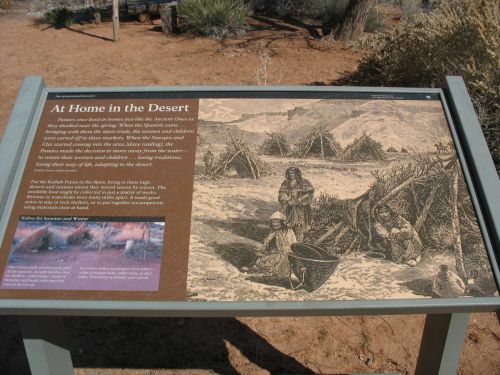 As more discoveries came to be made extending knowledge of North American prehistory in what is now known as the Archaic period, especially in the deserts of the Southwest, archaeologists began to interpret them in light of Steward’s ethnographic data. 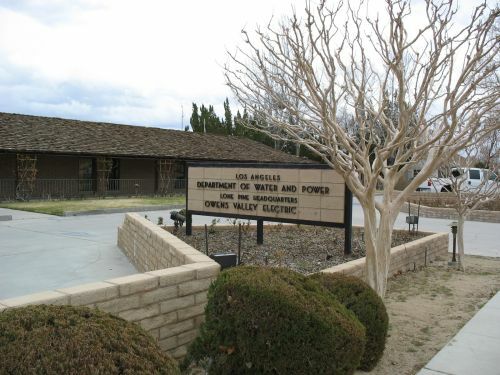 In the 1950s this approach was codified by Jesse Jennings of the University of Utah into the concept of a “Desert Culture” that looked basically like Steward’s “village” societies and existed throughout the desert Southwest from the end of the Paleoindian period until the adoption of agriculture in some areas and until Contact in others (the latter being the societies Steward studied). The idea of a relatively unchanging culture limited by ecological conditions and lasting for thousands of years was especially attractive to the “New Archaeologists” who emerged on the scene beginning in the 1960s and were very concerned with deriving general conclusions about social processes from the archaeological record using the scientific method (which led to them eventually being known as “Processualists”). Unlike in many areas where the cultural record was clearly very complicated and many different societies with different economies had followed each other over the millennia, here was a case where a single social model had endured for almost the entirety of the archaeological record, in some areas right down to the ethnographic present. Environmental and archaeological data could be gathered and compared to each other to test various hypotheses derived from explicit theories based on the baseline data established by Steward and Jennings. Most of the other variables that tended to confound such theory formation and hypothesis testing in other areas were held constant here by the harsh environment and the resultingly simple and stable societies that were adapted to it. 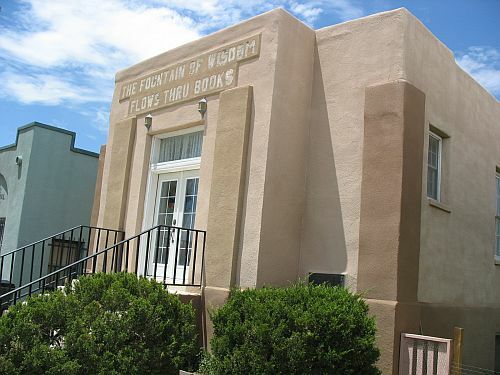 As a result, the Great Basin by the 1970s became the site of several major archaeological research projects sponsored by prominent institutions seeking to capitalize on this opportunity. They collected an enormous amount of useful data that shed important light on both general anthropological questions and the culture history of the Great Basin itself. The region was a triumph of processual archaeology and a showcase of its potential. There was a nagging problem with all this, however. The archaeology and ethnography (which were generally treated as basically the same) of the region painted a picture of remarkable cultural stability, but the linguistic evidence pointed in a very different direction. Explaining how requires some backtracking and explanation of the linguistic situation at Contact. The overall division of the linguistic groups and their general territories have not been controversial, and this three-part scheme continues to be the standard way to divide up these languages. Looking at a map of the territorial distributions, an interesting fan or wedge shape is very evident. Each of the three subdivisions extends from one or more isolated valleys in eastern California at the western edge of the Great Basin (the narrow end of the wedge) out across the Basin and, in some cases, beyond (the wide end of the wedge). Steward and Jennings didn’t have much to say about this distribution, but it would later become a crucial point of evidence in a very different interpretation of Basin prehistory that directly challenged the long-term and unchanging nature assumed in the Desert Culture framework. In the 1950s a linguist named Sydney Lamb conducted extensive linguistic fieldwork among speakers of these languages and came up with much better data than Kroeber or Steward had been able to secure. He published an important paper in 1958 reporting on his resulting conclusions about the internal relationships of the languages and the implications for the prehistory of the region. Lamb’s work confirmed Kroeber’s three-part division of Plateau Shoshonean, but undermined the notion of “Shoshonean” itself as a basic division of Uto-Aztecan. Instead he considered the “Shoshonean” subfamilies to be independent branches of Uto-Aztecan, and proposed new names for them to indicate this. “Plateau Shoshonean” thus became “Numic” after the word for “people” in the languages in question. In subsequent research the related term “Numa” has also become popular as a collective noun referring to speakers of these languages. Within Numic, Lamb found that each of the three subfamilies consisted of two languages, closely related to each other but not quite mutually intelligible and quite distinct from the languages in the other subfamilies. In each case one of these languages was spoken in the eastern California valleys at the southwestern end of the subfamily’s distribution and the other was spoken over the vast area to the north and/or east that made up the remainder of the distribution, with little variation over these huge areas. Based on this distributional evidence, combined with some tentative glottochronological dates that Lamb prefaced with appropriate skepticism about the validity of glottochronology, Lamb concluded that the Numic languages had originated in the valleys of eastern California and had spread from there across the Great Basin quite recently, perhaps around 1000 years ago. Importantly, the subfamilies were apparently already distinct at this point, and their speakers seem to have moved in similar ways and directions but independently, which implied that there was some common force drawing them further into the Basin (or, perhaps, out of California). Lamb tentatively suggested that access to bison might have been part of the motivation for the migration, but without going into detail. 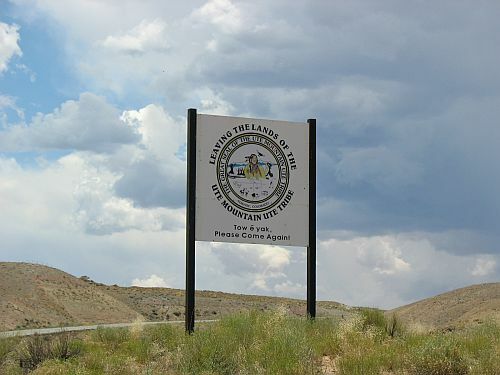 The most important point, however, is that Lamb concluded that the linguistic uniformity of the Great Basin Numic languages suggests strongly that Numic speakers, including Steward’s famous Western Shoshoni whose culture was the basis for Jennings’s Desert Culture, were recent immigrants into most of the Basin, and not the surviving remnant of a widespread Desert Culture that had existed there for thousands of years. He acknowledged that this conclusion was in sharp contrast to the archaeological consensus, but put it out for discussion nevertheless. Initially, at least, archaeologists didn’t buy it. They were quite confident of the validity of their Desert Culture model, and the subsequent rise of processual approaches only intensified the split between linguistic and archaeological interpretations of Great Basin prehistory. Not all linguists agreed with Lamb either, and various papers by both linguists and archaeologists in the succeeding decades proposed alternative explanations for the distribution of the Numic languages. Overall, though, most linguists came to be convinced by Lamb’s evidence that his interpretation was the most plausible, and by the 1980s even archaeologists began to be convinced. Note that when I say “archaeologists” here I’m referring specifically to archaeologists who specialized in the Great Basin, especially those who focused on the western part of the Basin where Steward had done his work. Those archaeologists who studied the eastern Basin and the Colorado Plateau, many of whom were more associated with Southwestern archaeology, had much less trouble accepting the idea that the Numic-speakers were recent arrivals in the Basin, as they obviously were in the Plateau. The ethnographic literature on the Utes and Southern Paiutes contains various references to the remains of the Fremont associating them with the Hopis rather than with Numic-speakers, and Steward himself recorded a tradition among the Northern Paiutes that the area around Lovelock Cave had been inhabited by non-Paiutes fairly recently. Remember that Steward considered the cultures he studied to be relatively recent, which is consistent with a recent Numic spread and inconsistent with Jennings’s Desert Culture theory. The first major theory based on a recent Numic spread to be proposed by archaeologists was that of Robert Bettinger and Martin Baumhoff of UC Davis, who published an important paper in 1982 making their case. They argued that Lamb’s Numic spread could be explained through a processual model. Under this model the pre-Numic cultures of the Basin were said to be based heavily on the hunting of big game, especially bighorn sheep, while the Numic cultures were based on a more intense gathering of small seeds, a lower-ranked resource that was more effort to get and process but more reliable as a source of calories. 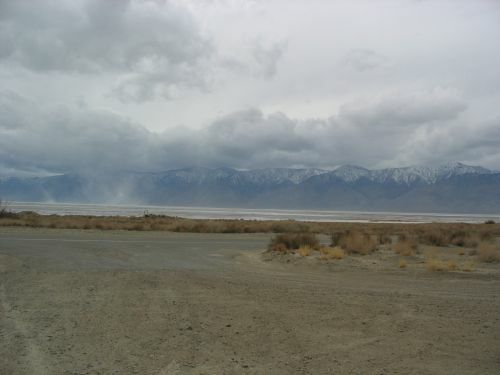 Bettinger’s own fieldwork had been focused mostly on Owens Valley, which he concluded had been where the Numic speakers had developed this focus on seeds out of necessity given the density of resources and population (recall that Steward had also argued that this was an area of more elaborate cultures than most of the Basin, for the same reason). Bettinger and Baumhoff argued that population pressure stemming from the adoption of this strategy was the impetus for the Numic groups to begin to spread out into the rest of the Basin, where their more effective seed-based economic strategy allowed them to out-compete the pre-Numic groups, who were unable to adapt to a similar strategy fast enough to compete effectively because of societal inertia. Climatic changes that reduced the availability of game may have played a role as well. They supported this idea of a discontinuity by pointing to differences in rock art and artifacts between earlier and later periods in the Great Basin archaeological record, especially the increased presence of specialized seed-beating equipment in the later period, presumably Numic. The Bettinger-Baumhoff hypothesis immediately aroused considerable controversy, and in the next few years many objections to it were raised, mostly by archaeologists but occasionally by linguists as well. Bettinger and Baumhoff responded to some of these objections in follow-up papers, and overall their arguments have sparked a serious and generally productive discourse on the prehistory of the Great Basin and how to reconcile the archaeological and linguistic evidence. Over time the general trend has been toward increasing evidence of a variety of types in favor of some sort of recent Numic spread, and more and more archaeologists have begun to accept the reality of it. 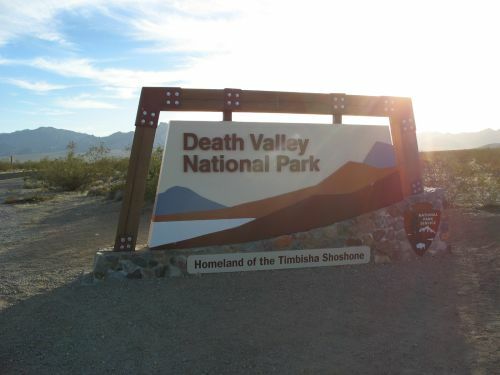 DNA evidence demonstrating a major discontinuity between at least some pre-Numic human remains and modern Numic groups has added an important independent line of evidence for a Numic spread, and additional intensive research in Owens Valley has further clarified the archaeological picture there and given more context to cultural changes (such as the adoption of pottery) that may have played a role in the origins of the spread. So that’s the history of research into Numic prehistory in a nutshell. My take on it is that Lamb was clearly totally right that there was a Numic spread and that it was relatively recent (though his specific glottochronological dates are of course unreliable), and that Bettinger and Baumhoff may have been correct about its nature but that there remain some weak points in their theory. I think the archaeological reluctance to accept the idea of a Numic spread is due to a number of factors that have been problematic in the history of Americanist archaeology throughout the twentieth century but are particularly extreme in this case. For one thing, there has long been a tradition of archaeologists projecting ethnographic data on post-Contact Native American groups uncritically back into the past. This was particularly common in the early twentieth century before it was widely accepted that the Americas had been occupied more than a few thousand years, and in that context it was at least understandable that Native cultures would have little time-depth. With the extension of the archaeological record further back in time and the development of more accurate and precise dating techniques, it became less justifiable to use ethnographic analogy and the Direct Historical Method so straightforwardly, but it has continued to some extent throughout the US, and the perceived harshness of the Great Basin environment and the relatively extensive ethnographic record there has made this tendency particularly pronounced there. The “New Archaeologists” of the 1960s and 1970s defined their approach explicitly in contrast to previous generations’ overreliance on specific ethnographic data and naive projection of it back into prehistory. In many parts of the US this meant a major shift, but again the specific characteristics of the Great Basin made the New Archaeological method look a lot like old-fashioned culture history. The apparent lack of change in the Basin’s archaeological record over millennia had meant that the culture history was interpreted as a story of stasis ending up with the ethnographic Numa, and this story of ahistoricality was easily translated into a story of consistent adaptations to a harsh and severely limiting environment. In both cases there was not actually any evidence strongly in favor of continuity of population (as opposed to adaptation), but that was a reasonable null hypothesis and, as often happens, over time it expanded from that to an unstated assumption. Bettinger and Baumhoff’s theory was presented very explicitly in the terms of processual archaeology but was nevertheless very controversial because of this assumption. The generally ahistorical approach of the processualists is now less dominant in American archaeology than it was in 1982, and this is probably a factor in the increasing acceptance of a Numic spread among archaeologists. I find it a fascinating story both because it sheds light on the dynamic nature of prehistory and relationships between linguistic and cultural groups and because it illustrates important trends in the intellectual history of American archaeology in particularly vivid fashion. It’s also a story that seems to be more or less completely unknown among the general public, which is unfortunate, and I’d like to make more people aware of it. This post is a start. Many of the prehistoric cultures of the Southwest are routinely described as “mysterious,” most often in popular accounts and tourist information but also sometimes in the more serious archaeological literature. 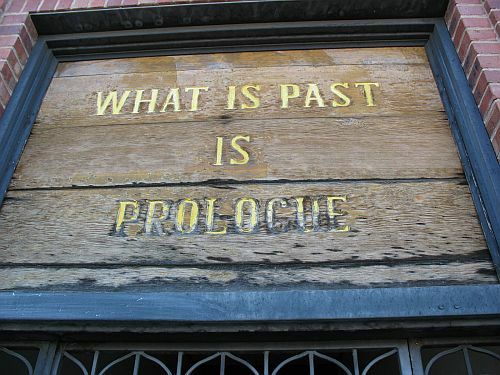 This is certainly true in a sense, in that a lot of information about any given ancient society, especially one without writing, is gone forever and cannot be recovered even by the best archaeological techniques. The various archaeologically defined prehistoric Southwestern “cultures” actually vary quite a bit in how mysterious they are in terms of the big questions: where they came from, what happened to them, and which, if any, modern societies are their descendants. The irony is that the culture which is most often popularly described as “mysterious,” the Anasazi, is actually one of the least mysterious in these terms. While the details remain obscure, and connecting any given prehistoric site to its most likely modern descendant communities is currently not possible (and may remain so forever), on a large scale at least some of the answers are pretty clear: the origins of the Anasazi remain a bit murky but there is evidence that at least some developed out of preexisting Archaic groups, with others possibly descending from immigrant groups from further south, and it’s very clear that the Anasazi as a whole are ancestral to the modern Pueblo peoples. This is one of the main reasons that the term “Anasazi” is currently deprecated in certain circles in favor of “Ancestral Puebloan.” The latter term is certainly accurate, and I think it is useful in some contexts, but in this post I will stick to “Anasazi” in its traditional archaeological meaning, for reasons that will become apparent later on. In contrast to this clear progression of Anasazi to Pueblo, many of the other prehistoric cultures have no obvious connections to any modern groups. 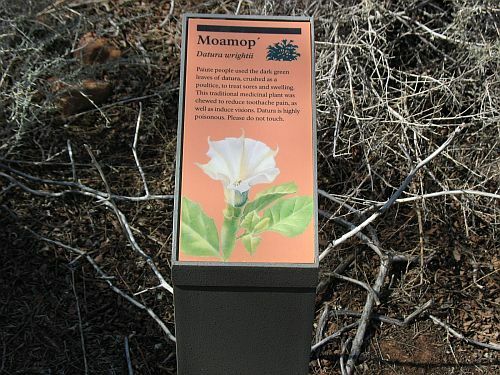 The Mogollon of east-central Arizona and southern New Mexico are certainly quite different from the Apache groups that occupied these areas historically, and there is no archaeological consensus on what happened to them and who their descendants might be. 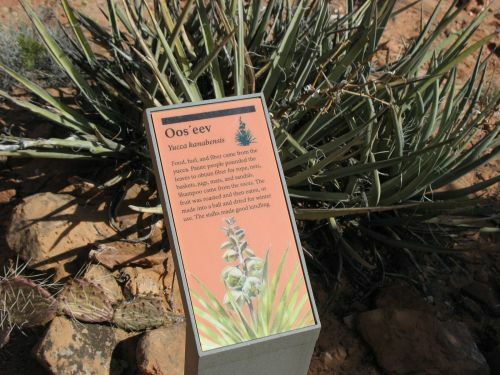 The same is true of the Hohokam of southern Arizona; the modern group occupying their territory is the O’odham (Pima and Papago), and there have been arguments both for and against the idea of cultural continuity between the two groups. 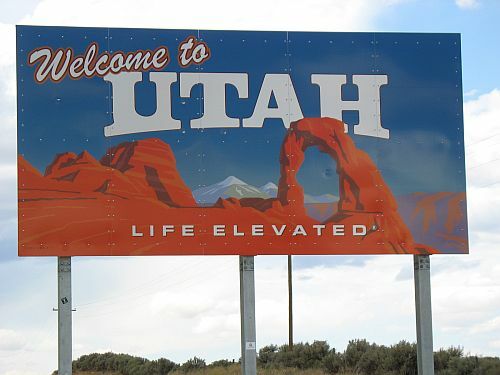 The most mysterious ancient culture in the Southwest, however, might be the Fremont of Utah. Both the beginning and the end of the Fremont phenomenon have been subject to vociferous debate since the culture was first defined, and while there seems to be a general consensus at this point on where the Fremont came from, there is still vociferous debate on where they went. Understanding the issues here requires a brief discussion of the history of Fremont research and the different theories that have been proposed for who the Fremont were and what happened to them. The following discussion is based largely on the summary in an important 1998 review article by David Madsen and Steven Simms; there have certainly been new developments in Fremont research since them, and some criticism of Madsen and Simms’s approach, but the article remains influential and widely cited in recent work on the Fremont. 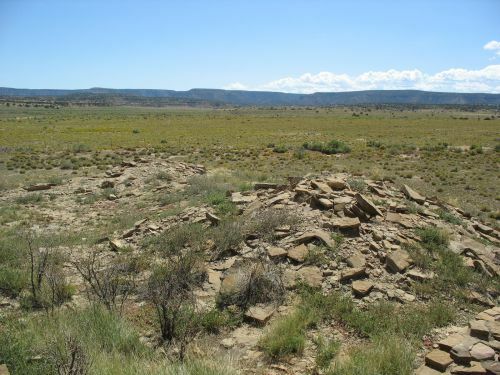 There was some sporadic archaeological work in the late nineteenth and very early twentieth centuries at sites that would later be considered Fremont, most notably Neil Judd’s work in the 1910s in southwestern Utah, before his more famous work at Chaco Canyon in the 1920s. This work generally interpreted the sites in question as similar to the Anasazi/Pueblo sites further south but relatively crude and backward, leading to the notion of a “Northern Periphery” of the Anasazi culture area. The Fremont culture was first defined, however, by Noel Morss in 1931 based on excavations along the Fremont River in south-central Utah. Morss considered these sites not as “peripheral” to the Anasazi sites to the south but as a different and equally developed culture, showing some Anasazi influence but also many distinctive traits. He defined his Fremont culture fairly narrowly, however, and excluded the sites further west excavated by Judd and others. Morss’s position was not very popular over the next couple decades, however, and all of these sites continued to be widely considered part of a “Northern Periphery” of the Southwest, often termed “Puebloid” to emphasize that they were both similar to and different from true Pueblo sites to the south. In the 1930s the work of Julian Steward added to this mix a large number of sites in northern Utah around the Great Salt Lake. 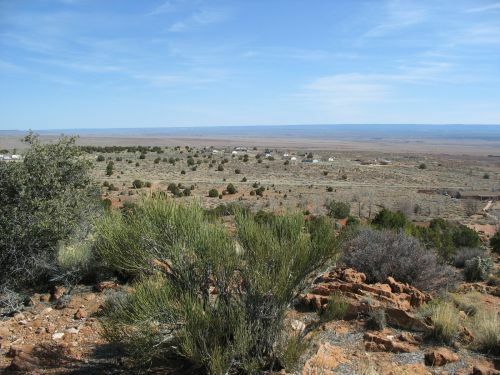 While Morss and others had interpreted the sites in southern Utah as the result of a society which relied on both corn agriculture and foraging of wild foods for subsistence, Steward separated his sites into a sedentary, agricultural “Northern Periphery” culture and a mobile, foraging “Promontory” culture, which were apparently contemporaneous. By the 1950s a consensus began to emerge that all of these cultures, except maybe Promontory, were really regional variations of a single overarching culture which became known as “Fremont,” following Morss but expanding his terminology significantly. 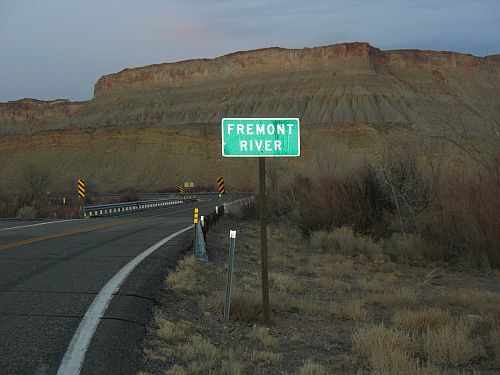 The sites in western Utah (the eastern Great Basin) excavated by Judd and later researchers were acknowledged to be different in some ways from those further east on the Colorado Plateau and were described by some as “Sevier Fremont” (after the Sevier River, along which many of the largest sites were located), but the overall unity of “Fremont” as a cultural unit equivalent to “Anasazi” or “Hohokam” became widely accepted. Now that some consensus had emerged on the unity of Fremont culture, attention turned to who these Fremont people were, where they had come from, and what happened to them. Most researchers decided that they had developed in situ out of preexisting Archaic foraging groups (which would explain the evidence for continued foraging) with the adoption of some cultural traits diffused from the Anasazi (such as pottery and agriculture). There were some dissenting voices, however, such as James Gunnerson, who argued that the Fremont developed from the immigration northeastward of Virgin Anasazi groups from the Virgin heartland in southwestern Utah and southern Nevada, and that the Fremont proper and Sevier Fremont developed subsequently into the Utes and Shoshones, respectively, who occupied the equivalent parts of Utah in the historical period. The latter part of this reconstruction was quickly shot down by Albert Schroeder and others, who pointed out how different Ute and Shoshone material culture was in the archaeological record from the preceding Fremont levels. This research quickly showed that variation was considerable, and in fact it was extremely hard to assemble a list of traits that characterized all Fremont groups without including any other cultures. Nevertheless, regional “subcultures” were soon defined: the Parowan, Sevier, and Great Salt Lake variants in the Great Basin and the San Rafael and Uinta variants on the Colorado Plateau. Many of the differences between these groups seemed to be primarily ecological in nature, given the very wide variety of environmental situations these groups found themselves in. In concert with the ascendance of the “New Archaeology” in American archaeology generally during the 1970s, Fremont archaeology came to focus extensively on adaptations to local environmental conditions, and new evidence of continuity in many areas between preceding Archaic groups and later Fremont variants led to a continued acceptance of an in situ origin for Fremont with the diffusion of Anasazi traits northward and their acceptance to varying degrees by indigenous foragers who still kept many of their previous practices, including a heavy dependence on foraging in addition to horticulture. At the end of the 1970s Madsen challenged the whole idea that “Fremont” denoted a coherent cultural unit. He pointed out the impossibility of defining it based on traits, and proposed instead that there were two or three separate cultures lurking inside the concept. He reserved the term “Fremont” for the Colorado Plateau variants (San Rafael and Uinta), reducing the concept to more or less Morss’s original formulation, and redefined the Great Basin variants as a separate culture called “Sevier.” The major distinction he proposed for these two was in subsistence. He saw the Fremont as being primarily corn agriculturalists who did some hunting and gathering, while the Sevier were more focused on wild resources and farmed only supplementarily. This conclusion was based largely on his own research at Backhoe Village in the Sevier valley, a large, permanent site which he interpreted as having an economy based primarily on gathering of wild cattails rather than corn agriculture. In general Madsen’s Sevier were more like other Great Basin foraging groups than Fremont archaeologists had generally assumed, with a heavy emphasis on the resources in wetland areas surrounding lakes and relatively little use of agriculture. Madsen also held out the possibility of a third culture in the Great Salt Lake area with Plains affinities, much as Aikens had argued, although he refused to give it a name. (It’s not clear why he didn’t use Steward’s name “Promontory” for this culture, which seems to overlap to some extent with Steward’s concept.) Responses to Madsen’s proposal were skeptical, and it has not been any more influential than Aikens’s Plains theory. It’s noteworthy that in his 1998 review article written with Simms Madsen shows that he has grudgingly backed off of this division and accepted the Fremont concept at least as a scholarly convention. In the 1980s the idea of “adaptive diversity” became influential in Fremont studies. Simms was one of the major figures in this shift, which emphasized the idea that the well-known mix of farming and foraging within the Fremont phenomenon may have involved shifts between the two lifestyles even in the lifetimes of individuals. 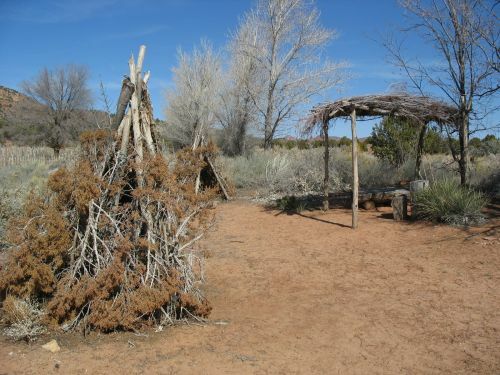 An article published by Simms in 1986 demonstrated the existence of ephemeral structures similar to ethnographic Great Basin wickiups associated with Fremont material culture, and in his 1998 review article with Madsen the implications of this approach are spelled out in more detail. Basically, the idea is that the Fremont complex may have included full-time farmers, full-time foragers, and individuals shifting between the two subsistence strategies either routinely or over the course of a lifetime in response to changing environmental conditions. Thus, the defining characteristic of Fremont subsistence is not a single approach but a flexible attitude. This focus on individual behavior in response to changing circumstances is what Madsen and Simms mean by a “behavioral approach” to the Fremont complex. Given how influential their article seems to be in contemporary Fremont studies, this approach seems to have been more successful than the earlier attempts to redirect Fremont researchers by Aikens and Madsen. That said, it’s not like there’s nothing to criticize in this approach. For one thing, it interprets the Fremont primarily through a frame of reference developed through studies of hunter-gatherers. The Fremont certainly did hunt and gather to some extent, but they also definitely farmed, and it’s not totally clear that the former is a more appropriate context than the latter for understanding Fremont societies. It certainly aligns Fremont studies with archaeological research in the Great Basin rather than with the very different tradition in the Southwest (with which it was aligned during the “Northern Periphery” period). This might be appropriate; after all, part of the Fremont region is in fact in the Great Basin, and if the Fremont did develop out of a local Archaic base that would also associate them with the Great Basin. 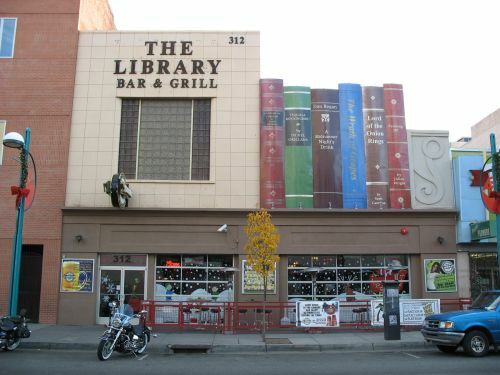 As I noted in the previous post, however, this approach sets the Fremont apart from the Southwest and makes events in the Fremont region hard to line up with concurrent events further south, which is problematic because there is reason to think there may be connections between the two regions. This becomes even more of an issue when it comes to the question of what ultimately happened to the Fremont, which I have barely touched on in this post. That’s a subject that probably deserves its own post, though.